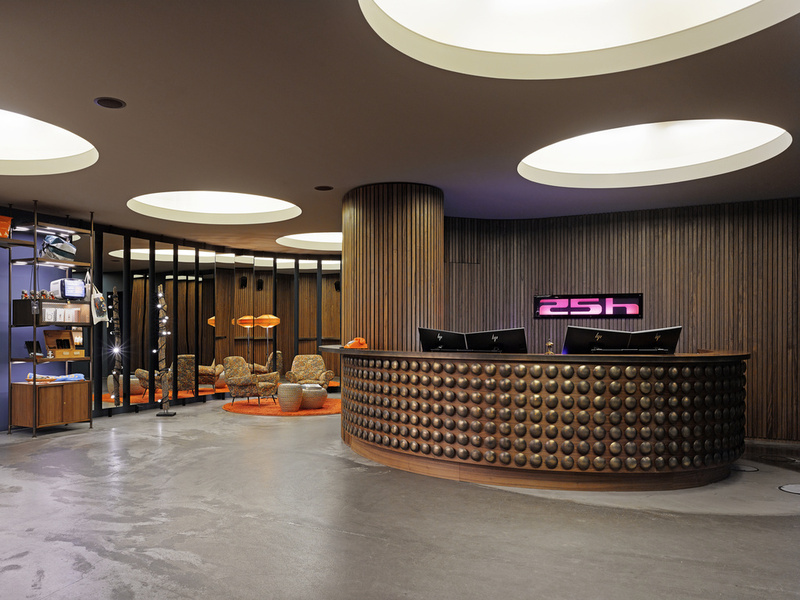 The 25hours Hotel Hamburg Number One is housed in a 1950s office block. Its interior design features a retro mix from the 60s and 70s. The hotel is a dynamic, surprising addition to the west end of the city, where large gasworks are used to keep the lights on throughout Hamburg Altona. Each of the public rooms flows into the next, generating a communicative atmosphere throughout the hotel. The 128 guest rooms feature cool retro style or pretty romantic chic. Clear lines and a pared-down design make each of the M, L, XL and XL Family rooms a relaxed haven. All rooms include free high-speed WIFI and UE Boom Bluetooth speaker.